Smart City is the next big buzzword, like IoT (Internet of Things) has been for the past five years. IoT sensors and devices will be everywhere, and there will be bespoke applications such as traffic management, dynamic parking, public Wi-Fi, smart meters and public safety along with smart buildings, stadiums, and transit hubs. But there’s no such thing as a smart city without networks to connect IoT devices and applications. According to the Smart Cities Council, “Ubiquitous broadband telecommunications is a prerequisite for a smart city.” Communications networks provide the essential connections between IoT devices and the applications that process and act upon collected information. Service providers are the organizations that usually deploy networks to connect people and the IoT. Wired networks leverage new and existing fiber and copper (twisted pair and coaxial) cabling to connect buildings as well as larger “edge devices” such as Wi-Fi access points, surveillance cameras, small cells and distributed antenna systems (DAS). Wireless network protocols can include Wi-Fi, LTE, 5G, Bluetooth, Zigbee, and others. So, how do you build a city with ubiquitous connectivity? Here are four key strategies. Take the long view. A lot of cities are pursuing short-term goals with low-hanging-fruit applications such as switching to LED street lighting. But city planners should educate themselves about emerging applications and prepare to support them. For example, one city installed basic security cameras on light poles but did so without installing fiber connectivity that would enable adding small cells to those poles or implementing real-time facial recognition applications for the cameras. Adding this connectivity at the time of the original security camera installation would have had a marginal cost impact. Instead, the city now must incur far greater cost to retroactively upgrade its light pole connectivity. To avoid having to upgrade networks in the future, city planners should educate themselves about future possibilities, consult with IoT vendors and network connectivity vendors, and work to develop a plan for the long term. For example, some cities in Sweden and the US (such as Chattanooga, Tennessee and Lincoln, Nebraska) have built high-speed fiber networks around the city with enough bandwidth to support IoT devices and applications well into the future. Plan for Network Wireline-to-Wireless Network Convergence. Large incumbent service providers have both wireline and wireless operations, so converging onto a single network and maximizing asset utilization makes business sense. The cost of maintaining separate networks is substantial. Real-life examples have occurred where a fiber-to-the-home (FTTH) network was built, and several months later, the same construction crew dug up the same street to lay fiber for a cell site, which is wasteful and disruptive. Network convergence means one build-out for multiple service delivery platforms. Remember to address flexibility and scalability in these networks to serve today and tomorrow’s needs with cost-effective end point expansion, well into the future. Cities are even more complicated: there can be several different networks in cities, built by traditional telcos, cable operators, emerging Internet providers like Google, neutral host providers, utilities and municipalities. The emergence of fifth-generation (5G) wireless service introduces the possibility of yet another supporting wireline network, if it’s not adequately planned for. City planners need to think about converging these disparate networks for greater efficiency and lower costs. There are already converged networks inside buildings (one Ethernet backbone carries voice, data, video and wireless traffic); the trend should be extended to cities with fiber-based converged networks. Some progressive cities are discussing installing a media-agnostic Universal Telecommunications Connectivity Grid (UCTG) that can connect wired and wireless devices. Plan for Ubiquity. In planning for citywide network convergence, one of the biggest challenges is bringing connectivity to both the haves and the have-nots. Network operators have always built to serve the haves – those who can pay – while the underprivileged don’t get service. Cities need to erase this “digital divide” by ensuring that commercial and industrial communities as well as residential communities of all income levels will have access to adequate wired and wireless broadband service. Get Creative with Funding. Few cities can afford to fund next-generation networks themselves. To make ubiquitous broadband networks possible, cities are partnering with service providers, neutral host network operators, utility companies and other organizations to pool financial resources for these massive projects. Streamlined permitting, infrastructure bonds and private-public partnerships are just a few models to be considered. 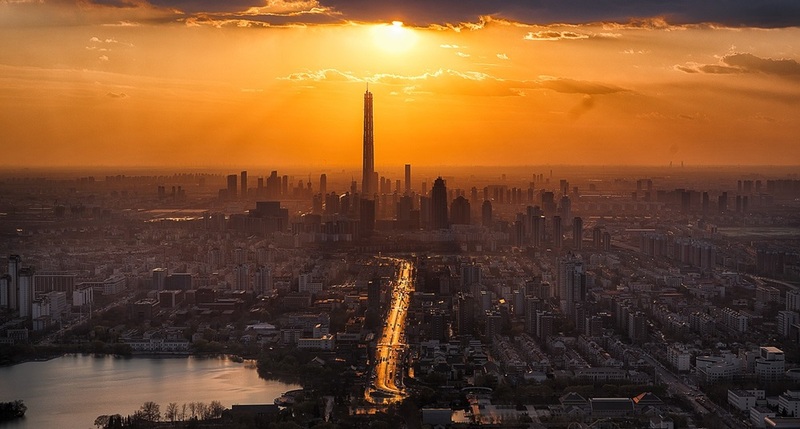 Smart city applications are in their infancy, but reliable, high-speed connectivity throughout cities will be a fundamental requirement that cities can begin to address today. By planning now and building a foundation of converged fiber networks, cities can prepare to make themselves much smarter in the future. About the author: Morne Erasmus is a global lead for Enterprise Building Solutions at CommScope. He has more than 20 years of experience in the technology industry, spanning five continents. Since joining CommScope in 2012, Morne has held senior roles in Technical Sales and Segment Strategy. He is currently focused on strategic initiatives around the control and integration of Internet of Things (IoT) technologies in the workplace and is a regular presenter at industry conferences.